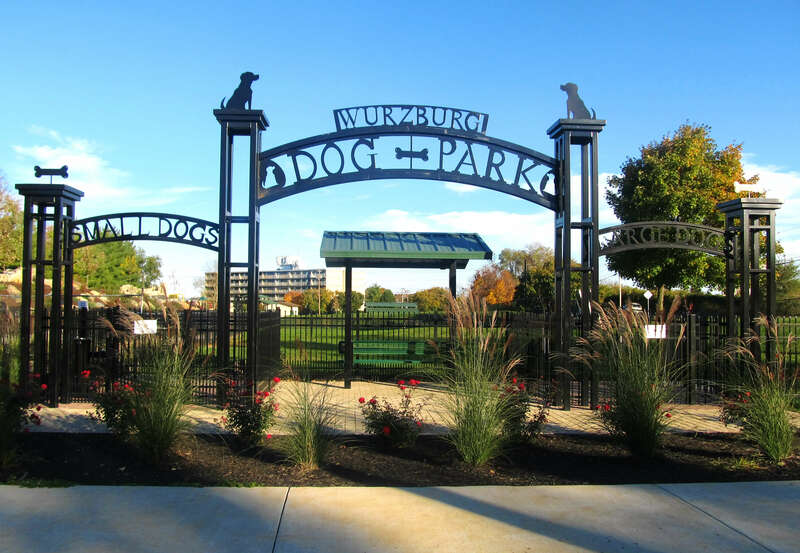 **The dog park opens at dawn throughout the year. There are lights installed to allow for use (dog park only). In the summer, the lights are on until 11PM and in the winter, the lights are on until 9PM. Once the lights are off, the dog park is closed until the next morning. 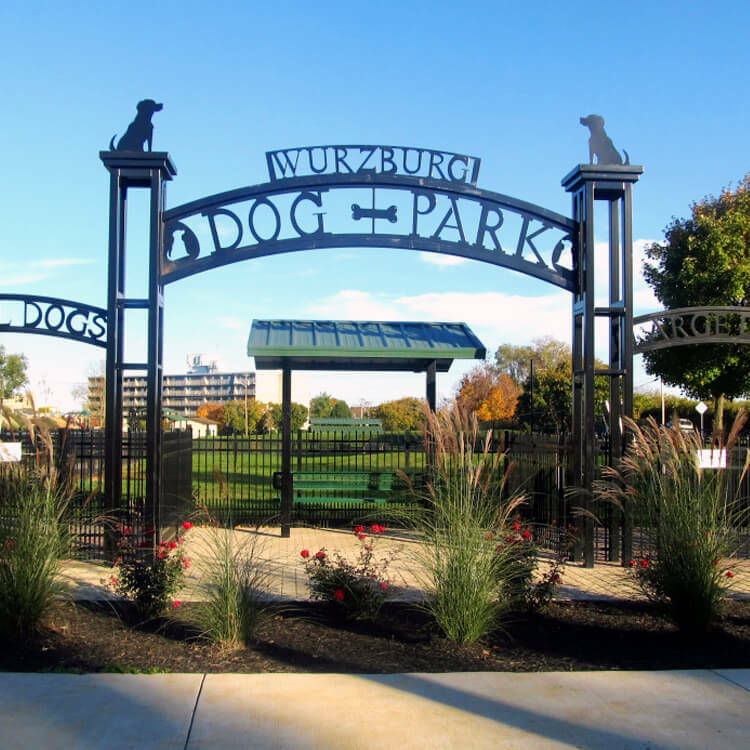 The Wurzburg Dog Park is located in Martinsburg at Ambrose Park (behind the Foxcroft Towne Center in Martinsburg off Mall Ave, Wall St. & Porter Ave). It was the generosity of Miss Gretchen Wurzburg, local resident and business woman, that made this facility possible. When she passed away in 2008 she named her nephew, Travis A. Hill, Jr. and his wife, Scarlett James Hill to be the advisers of the Wurzburg/Hill Family Fund with the Eastern West Virginia Community Foundation. 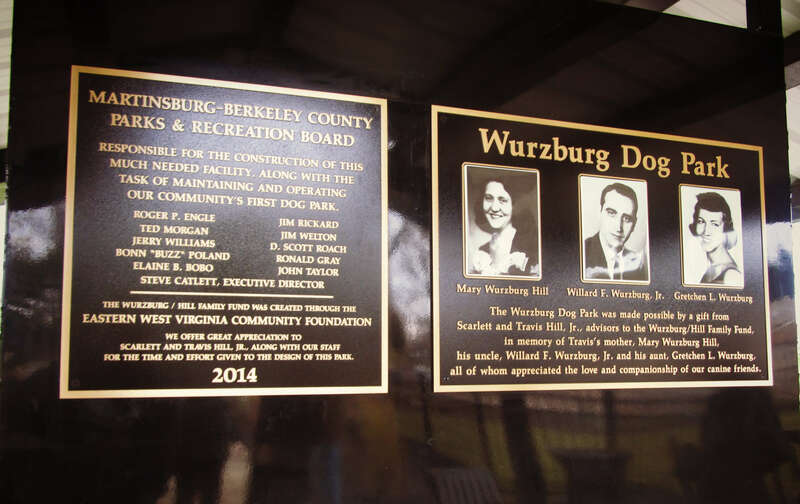 Because of Miss Wurzburg’s love of dogs, Travis and Scarlett recommended spending a portion of the Wurzburg/Hill Family Fund to build a dog park in Berkeley County. 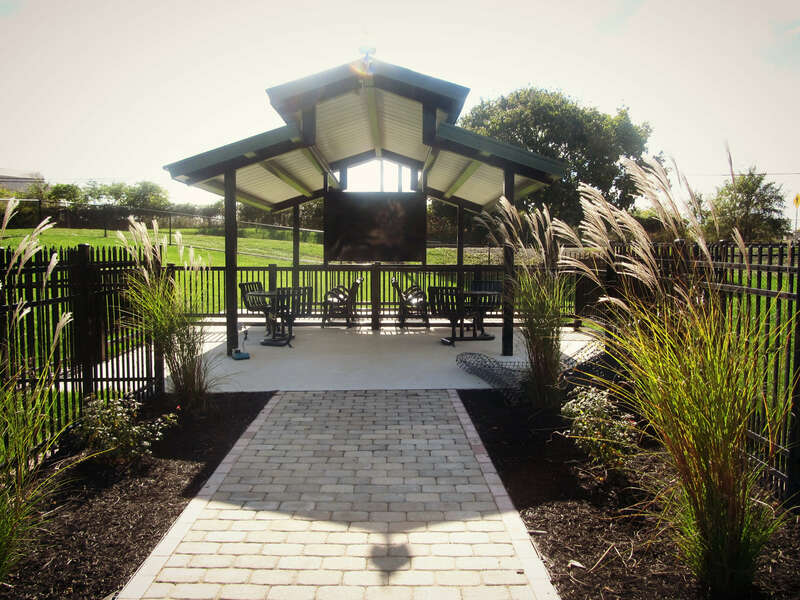 This facility is the first of its kind in Berkeley County and is a beautiful and popular spot for many of our local and neighboring residents and their canine friends! We now have over 200 members a year that bring their dogs out to the park since it opened in November 2014. There are two fenced-in sections, one for large dogs over 30 lbs. and one is for small dogs up to 30 lbs. 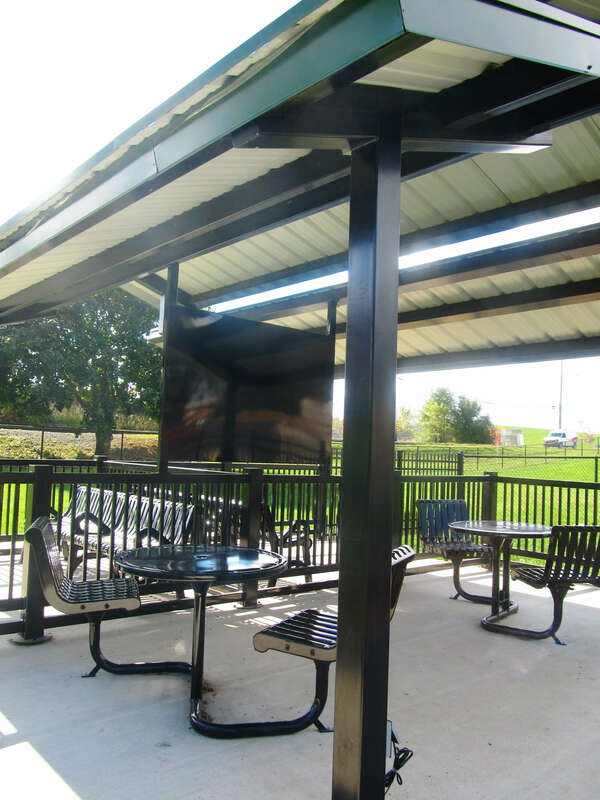 We have installed additional lighting for night time users and there is a numeric pad system for our members to enter the dog areas. We are working to acquire funding for additional equipment and improvements to benefit both the dogs and their owners. Registrations are valid from January 1st to December 31st each year. There is no pro-rating for any registrations made throughout the year. You will need to provide a copy of your dog(s) current vaccination record from your vet’s office (West Virginia requires rabies; Parvo and Bordetella are recommended) and a copy of the dog tag license number. Once you have provided the forms, signed waiver, vaccine record and registration payment, you will be given your access to the dog park. We have a key FOB system. The registration cost is $15 per year for the first dog, $5 for each additional dog. There is an additional one-time fee of $10 per key FOB (maximum of 2 per household). Note: This fee is charged upon initial membership registration. You will not need a new key FOB each year you renew. There is a $10 per key FOB replacement fee should yours is lost or damaged. If you delay renewal and your key FOB is deactivated, please be aware there is a $5 per key FOB reactivation fee (this reactivation may take a few days to take effect so your entry into the park won’t be immediate. You do have the option to purchase a new key FOB at the $10 (each) fee for immediate access). No more than two (2) dogs per person are permitted at one time in the park. Please read your dog park rules and guidelines prior to entering the park. 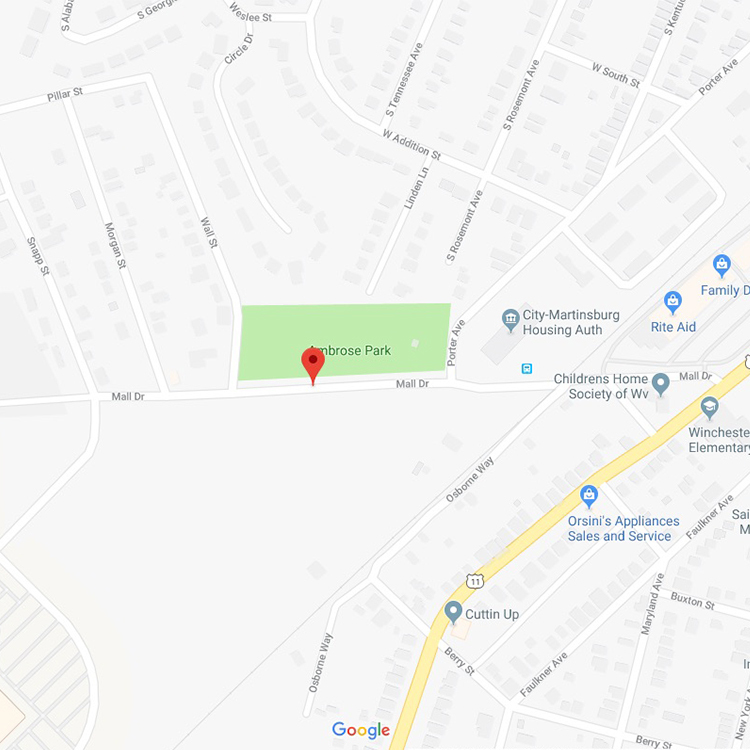 Please note that there are two (2) sections to the dog park. One section is for large dogs over 30 lbs. One is for small dogs up to 30 lbs. Please use the appropriate entrance for the size of your dog. You can stop into our Administrative Offices at either the Berkeley 2000 Recreation Center or the W. Randy Smith Center to register.